Host the perfect barnyard bash with the Barnyard Party Supplies! 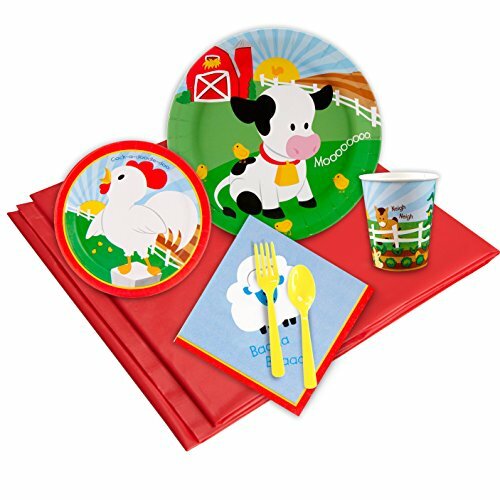 Add matching tableware, favors, accessories, or a party kit bundle to complete your farm or barnyard birthday party! These party supplies feature adorable barnyard animals including cows, pigs, and sheep! Perfect for fans of tractors, farms and barnyard animals.